I get hungry, especially after a workout and I love a good flapjack or energy bar but I hate the fact that so many of the store bought ones are just full of sugar. 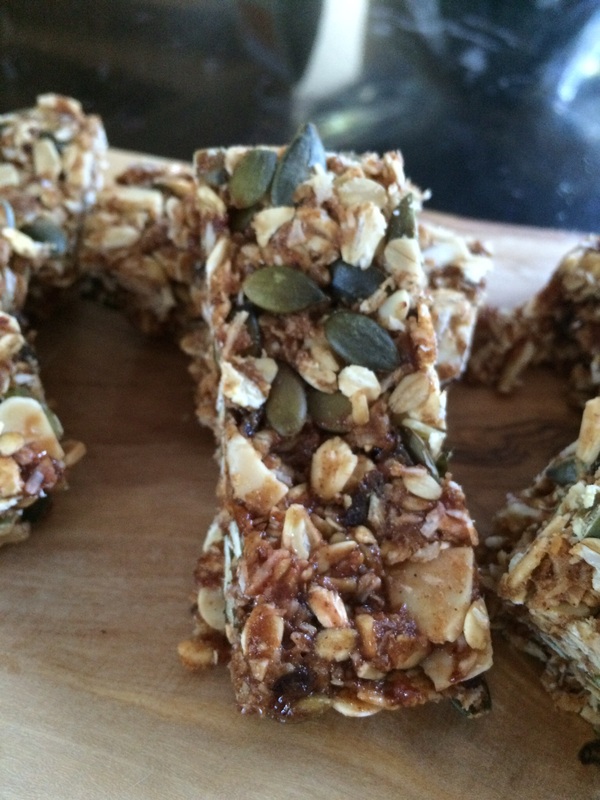 Many of the ‘healthier’ versions I’ve bought are tasteless and unappetising so last Saturday, after a full on day, I thought I’d create some homemade protein flapjacks – full of good things! These don’t take long to put together and you can always substitute things if you don’t have them in the cupboard or don’t like them. Line a baking tin (I used a 20 x 20cm one) with baking paper. 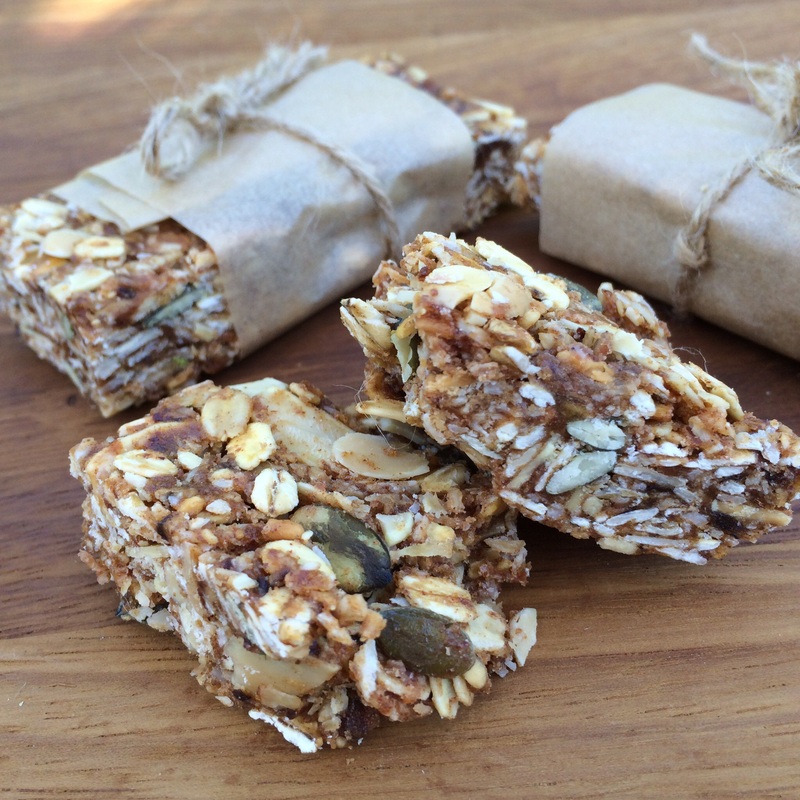 Mix the oats, almonds, pumpkin seeds and coconut together and pour into the baking tin. Place in the oven for 20 mins or until starting to brown. Make sure you turn regularly with a wooden spoon so the whole mixture gets toasted. While that’s in the oven pop the dates and prunes into a blender or food processor and blitz to a paste. You may need to keep stopping to scrape the mixture back down in to the bowl. It doesn’t need to be completely smooth – a few lumpy bits are good! Remove the oats from the oven and stir the protein powder through the mixture. Allow to cool. Put the date mixture, nut butter, liquid sweetener, coconut oil, water, cinnamon and salt in to a large saucepan and heat very gently. Stir and allow the mixture to come together. Remove from the heat and pour the oats into the liquid mixture and mix really well. Once it’s chilled you can cut in to slices. 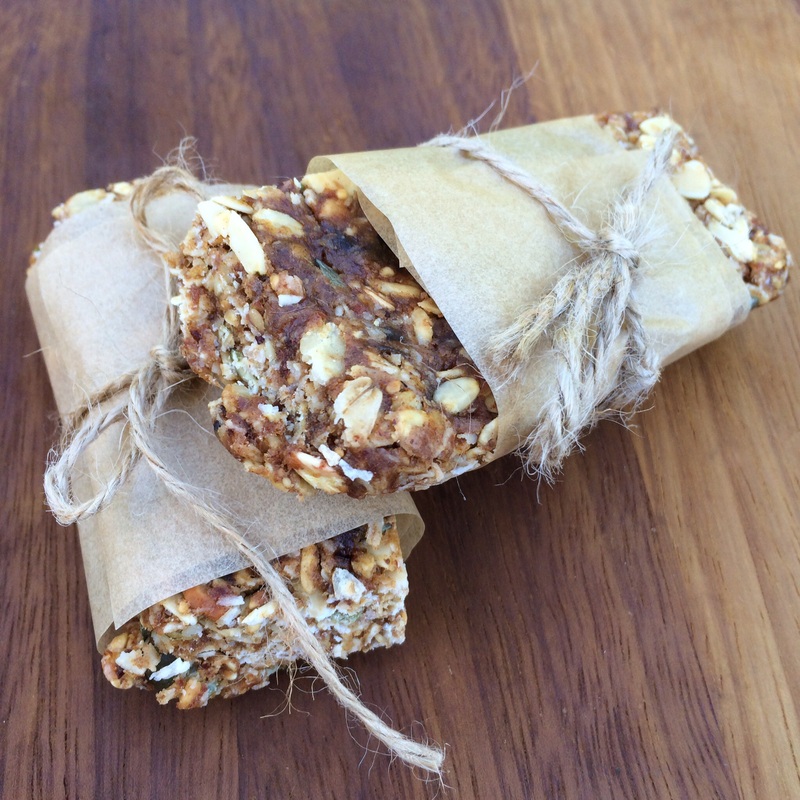 It makes the perfect post workout snack on the go and is great to pop in to lunchboxes too! This entry was posted in biscuits, Breakfast, dairy free, gluten free, low gluten, picnic food, snacks, treats, vegan and tagged baking, biscuit recipe, dairy free, dairy free flapjack, easy recipes, flapjack recipe, gluten free, healthy flapjack, healthy foods, healthy snack, home made snacks, low gluten, porridge oats, protein powder, vegan, vegan flapjack, vegan recipe, vegan recipes, vegetarian, vegetarian recipes by Dr Nancy P. Bookmark the permalink.